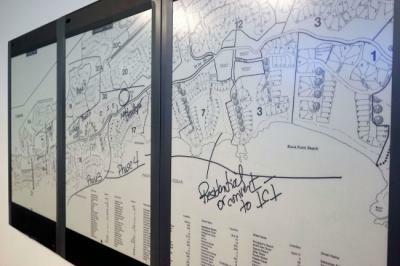 QuirkLogic's Quilla is a 42" smart whiteboard (the picture below shows three such whiteboards sude by side) that are based on touch-enabled E Ink displays. The system stores everything that you draw on the whiteboards. The displays are powered on batteries that can last for 16 hours on each charge. QuirkLogic did not yet reveal the price or release plans of these smart whiteboards.